If you think bowls are just for eating cereal and soup, think again — especially when it comes to Tibetan bowls, which are Himalayan instruments. One renowned practitioner and author, Diáne Mandle of Encinitas, uses these ancient bowls in what she calls sound healing. She recently wrote a book called “Ancient Sounds for a New Age: An Introduction to Instruments” about the magical bowls and their powers to heal. Mandle, incidentally, is considered the pre-eminent voice in the field of Tibetan bowl sound healing among her peers and travels extensively offering workshops, concerts and private healing sessions. The book recently won the 2018 International Book Award in the Health: Alternative Medicine category and has also been named a finalist for the 2018 New Generation Indi Award. Additionally, Mandle has combined techniques from other fields that she said have proven very effective for her clients and describes these in the book. As an extra bonus, exclusive access to a digital one-hour instructional video is included to demonstrate Mandle’s methods as a practitioner. She added that Tibetan bowls aren’t just any bowls, the ancient ones she uses are hundreds of years old and each one is special. As for her clients, they tend to see her on average from four and six times before they can move on to work on themselves without her should they decide to learn the modality. “The sessions help clients identify with what is at the core of their problems and how to deal with them,” she said. “I am just showing them the path, but ultimately it is up to them to stay on the path. Speaking of her clients, they suffer from stress-based conditions; ranging from stress from divorce to cancer. So how does sound healing help the average person? Another client, Rhada Thompson, added: “With a family background in traditional Western medicine, my cancer diagnosis followed the standard path of surgery and chemotherapy. After my initial diagnosis, my mother had read an article about Diáne Mandle and the healing aspects of her Tibetan Bowl therapy. “Being an open-minded person, I was curious how the Tibetan Bowl sessions would complement my traditional cancer care. My first session with Diáne was surreal and it is still difficult to describe how profound of a change I felt in one session. And yet more praise from an Arizona-based client: “Diáne has an amazing gift to heal through her Tibetan Bowl therapy and meeting her genuinely changed my life. She was also part of the integrative therapy team at the San Diego Cancer Center and developed a successful sound healing program for incarcerated veterans with PTSD. The half-French, half-American Mandle once worked in corporate America before deciding to hang up the cold weather of Massachusetts and do something more creative with her life. As for the book, it took about six years to complete she said, however, she has been a Tibetan bowl practitioner and educator, and the only state certified practitioner/ instructor in California for years. She has given more than 250 educational concert programs in 32 states, as well as in India, Costa Rica, Mexico and St. Croix. She has been a frequent guest presenter at the Museum of Making Music, Cal State San Marcos, The Golden Door, The Deepak Chopra Center, and Rancho la Puerta. 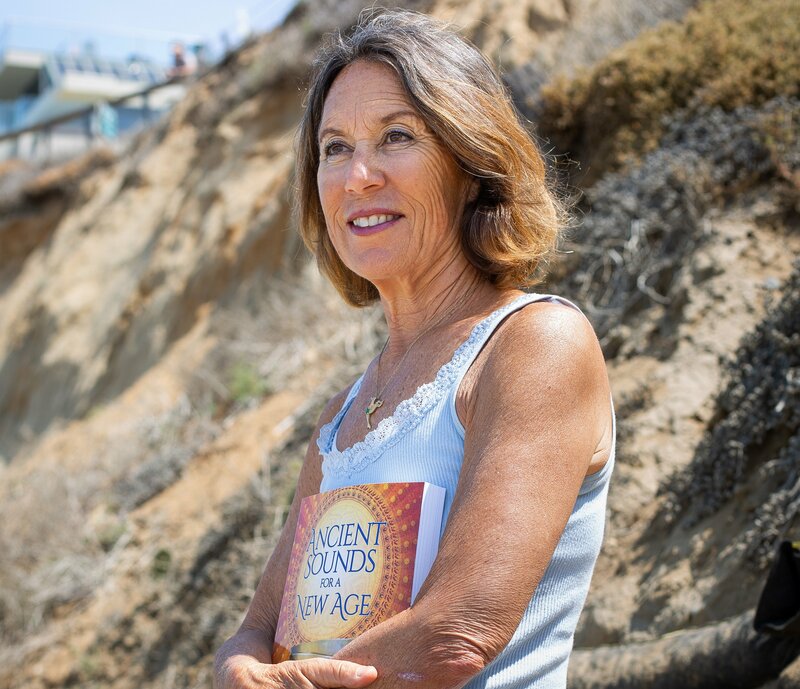 She is a faculty member at the New Center for the Study of Sound Healing, Music and Consciousness and the Sound Healing Certification program at the Soul of Yoga in Encinitas (https://soulofyoga.com/event/soundmoduleb/). Also, Mandle is featured in the upcoming video series: “Tao- Living in Balance” along with healers such as Dr. Wayne Dyer and John Gray. 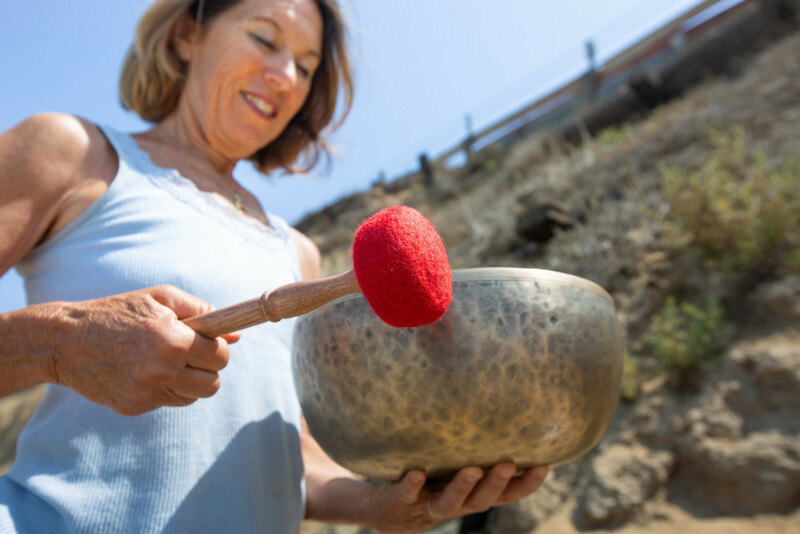 She maintains a private sound healing practice Encinitas where she also owns and operates the Tibetan Bowl School. Part I: Fundamentals of Sound Healing, offers an orientation to the work. Part II: The Sacred Sound Family, teaches about the sound healing instruments — the tingshas, the ganta and dorje, and the Himalayan bowls — and the author takes you through some basic configurations for working with multiple instruments. Part IV: Working with Challenging Emotions, offers brief orientations to working with anxiety and depression, dedicating one chapter to each. The last main section of the book. Several appendices include: thumbnail profiles of some sound healing pioneers, an interesting case study, some client testimonials and further resources, including information about Mandle’s school and some of the classes and products offered. For more information about the book and/or Mandle, visit www.soundenergyhealing.com and www.tibetanbowlschool.com.